“African Americans are more prone to kidney disease because of high rates of high blood pressure and diabetes. And sadly, there are gaps between blacks and whites when it comes to getting a kidney transplant. “Organ bank managers are reaching out to the black community in an attempt to boost the number of blacks who register as organ donors. While blacks currently register at a rate commensurate with their population demand for kidneys is higher in the black community because blacks are more likely to get diabetes or hypertension. African-Americans die as a result of hypertension at a rate two times that of Caucasians, and they develop diabetes at a rate nearly twice that of whites. Research increasingly points toward genetic differences between the races as a culprit. My main goal is teaching her about her story,” said Gold. “You can’t have an advocate any better for organ donation than her.” Gold works tirelessly to promote the gift of life her daughter received. She’s the co-ordinator of the Hamilton/Burlington/Oakville chapter of the advocacy group Life Donation Awareness. A 31-year-old Oklahoma woman helped make medical history and started a chain of “paying it forward” when she decided to donate her kidney to a stranger halfway around the world, a man in Athens, Greece. Nikos, Vivek, and Demetrius spent a summer building a sophisticated computer model that looked at thousands of variables, millions of choices, combinations, took into account decades of data on organs and patients and medical outcomes. And the model was just as fair as the doctors. It was also enormously more efficient. If you use this model to match patients and kidneys for one year, and you totaled up all of the extra time patients would get would live under this new model – consider all the people waiting for kidneys – you get more than 5,000 extra years. Ashley Dias, 26, is waiting for lungs. She has cystic fibrosis and needs a lung transplant to survive. She’s got a tracheostomy tube in her neck so she can only mouth out words. 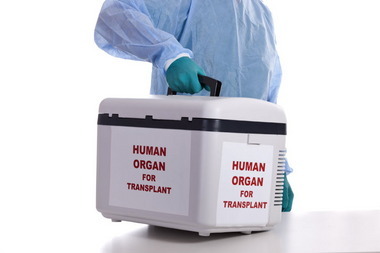 Scarcity is a problem with organ transplants in general. And, unlike other scarce resources, organs can’t be bought or sold. “Many, many people die on the waiting list,” says Jason Snyder, a UCLA economist who has studied organ allocation. “It’s a really tough problem.” The system for lungs scores patients on objective medical data, including how much extra oxygen a patient needs and how far she can walk. 106,879 solid organs were transplanted in 2010 across 95 WHO member states, a total that met only 10% of the global need. It is not known how many of these transplants were performed legally and illegally, although experts have estimated that one in 10 of these transplants was performed illegally on the black market. Last year in this region, the generosity of 442 donors resulted in nearly 1,200 transplants — the largest volume anywhere in the United States. That works out to about 43 donors and 120 organs per million people here, compared with 26 donors and considerably fewer than 100 organs per million people everywhere else, including New York and Los Angeles. Israel has decided to try a new system that would give transplant priority to patients who have agreed to donate their organs. In doing so, it has become the first country in the world to incorporate “nonmedical” criteria into the priority system, though medical necessity would still be the first priority…A critical component of the law’s success was engaging the country’s highly influential religious leadership…The response was overwhelming, as people registered in droves as potential donors. “We were swamped,” says Tamar Ashkenazi, the director of the National Transplant Center of Israel…The consent rate from families has already increased, and the number of organs available for patients has increased in parallel. Transplants have so far increased by more than 60% over all this year. Social media has proven it can make just about anything go viral. A record number of Floridians signed up to be organ donors last week – all with a little help from Facebook.On any typical day, an average of 100 Floridians register as organ donors. But last Tuesday, eight times that number registered. It was the same day Facebook announced users could now declare they’re an organ donor on their profile.